Every once in a while it's nice just to watch a movie I already know I like. Enter To Catch a Thief, a Hitchcock film with great acting, great dialogue, and fascinating wardrobe choices. 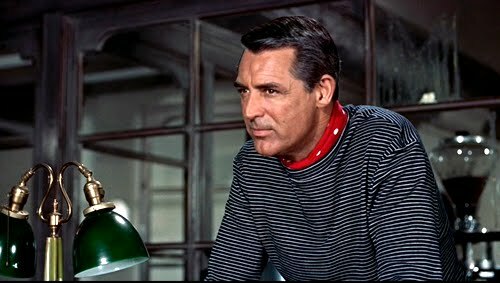 And of course Cary Grant is Cary Grant, looking suave even in a crazy red with white polka dots silk scarf wrapped around his neck. 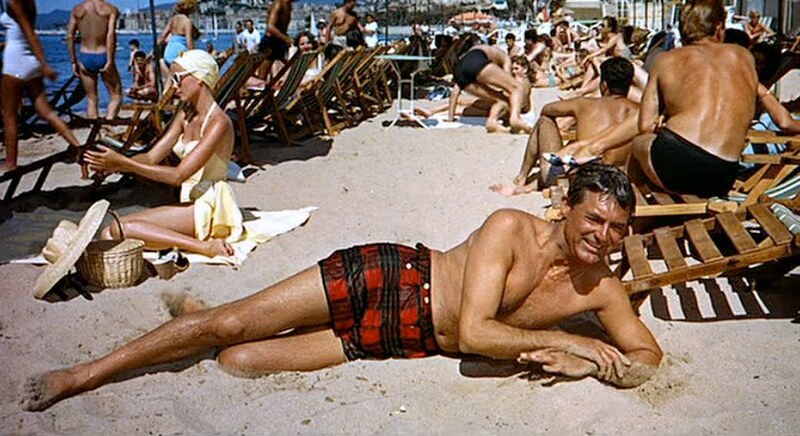 But of course he is suave, not only is he Cary Grant, he is playing John Robie, a former jewel thief turned hero of the French resistance. Robie comes under suspicion after a string of jewel thefts, all bearing his famous mark. With the police on his tail, he escapes by boat to Cannes, where he makes his first costume change. And yes, he continues to look suave floating to shore in his new plaid bathing trunks. Robie is not put off by the bathing costume, though. What puts him off about Frances Stevens is when she reveals that not only does she know he's really Robie "the cat," but she believes he is in fact guilty of the current crime spree and... wants to join him. Robie just isn't interested in "women who need weird excitement." 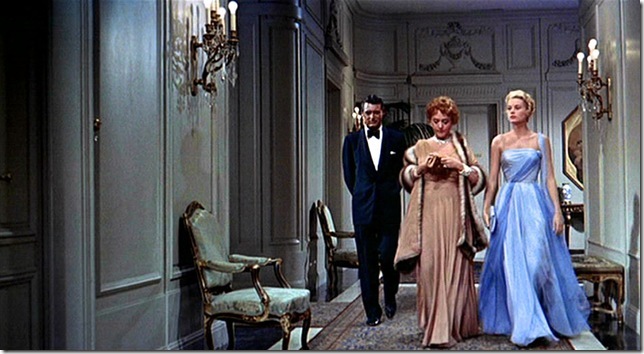 Cary Grant climbing around on rooftops, Grace Kelly's dresses, a Hitchcock mystery to solve...I love this movie. 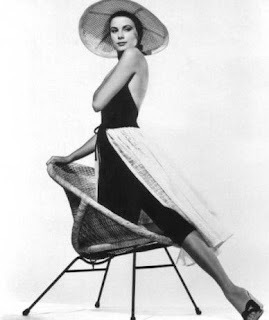 Jesse about her daughter Frances: "Sorry I ever sent her to that finishing school. I think they finished her there." Four stars, and I will definitely watch this again. Loved this movie. The one thing that sticks in my mind, is the shirt he wore in the opening scenes. The production crew and the Director should have known that it would not photograph properly. Or am i just being too hard on older technology. I am brand new at this and if I look like I don't know what I am doing, well, that's true.